This page highlights some famous Canadian Quotes spoken by well-known and not so well-known, as well as anonymous people. While some reveal the dubious Canadian identity, others bring a smile on your face or make your heart swell with pride if you live in this beautiful country. "I don't trust any country that looks around a continent and says, 'Hey, I'll take the frozen part.'" "Thinking that other people might be better than you is what makes you Canadian, not American." "God Bless America, but God help Canada to put up with them!" "What is a Canadian? A Canadian is a fellow wearing English tweeds, a Hong Kong shirt and Spanish shoes, who sips Brazilian coffee sweetened with Philippine sugar from a Bavarian cup while nibbling Swiss cheese, sitting at a Danish desk over a Persian rug, after coming home in a German car from an Italian movie... and then writes his Member of Parliament with a Japanese ballpoint pen on French paper, demanding that he do something about foreigners taking away our Canadian jobs." "With or without the Royals, we are not Americans. Nor are we British. Or French. Or Void. We are something else. And the sooner we define this, the better." "It is the task of the rising generation of Canadians to create a new confidence and a new sense of cultural and civic duty in Canada. Unless we achieve some success on this front, and I believe we are beginning to do so, the very real attractions of the vigorous society to the South of us may attract too many of our able people. Then the human resources and skills required to shape and direct a complex industrial economy will simply not be available to us in Canada." "When I'm in Canada, I feel this is what the world should be like." "I had no idea Canada could be so much fun." "In a world darkened by ethnic conflicts that tear nations apart, Canada stands as a model of how people of different cultures can live and work together in peace, prosperity, and mutual respect." "Americans should never underestimate the constant pressure on Canada which the mere presence of the United States has produced. We're different people from you and we're different people because of you. Living next to you is in some ways like sleeping with an elephant. No matter how friendly and even-tempered is the beast, if I can call it that, one is effected by every twitch and grunt. It should not therefore be expected that this kind of nation, this Canada, should project itself as a mirror image of the United States." "I think every Canadian should have a map of Canada in his or her house. It should be displayed in a place where one can sit and contemplate the wonderful vastness of this land. As Canadians we are continuously groping for an identity and a sense of love for our nation. 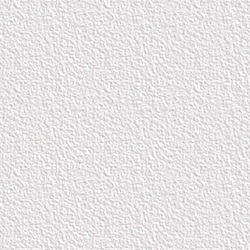 We grapple with the concept, find it somewhat distasteful and leave it for another day. We find American flag waving, hand over heart while belting out Oh, say, can you see... too much and avoid doing the same. We admire their national spirit, but Canadians are, in contrast, understated. To understand the identity that exists in our hearts, think of our sweepingly majestic home, its quiet, serene beauty... a beauty recognizable to us all. We are proud of this nation and of who we are. We just don't say it. It's like the map. It just sits there on the wall displaying the lines of our coasts, the bulk of our waterways, and the breadth of our northern territories. Surveying all of this leaves me in awe. It brings a tear to my eye...O Canada..."
"I always thought of this as God's country." "It's going to be a great country when they finish unpacking it." "Canada is a nation of people who came from somewhere else. " "In only a century and a quarter since Confederation, Canadians have shaped out of the North American wilderness one of the most privileged societies on the face of the earth. Ranking among the seven most prosperous nations in the world, Canada is rich not only in the abundance of our resources and the magnificence of our land, but also in the diversity and the character of our people. We have long been known as one of the most tolerant, progressive, innovative, caring and peaceful societies in existence." "Canada is one of the planet's most comfortable, and caring, societies. The United Nations Human Development Index cited the country as the most desirable place in the world to live. This year a World Bank study named Canada the globe's second wealthiest society after Australia." "Canada is like a bird, it likes to soar freely." Check out more Canadian quotes here. 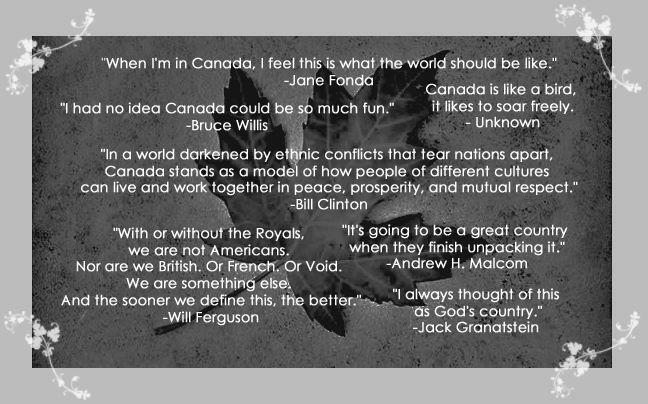 May you get a pretty good idea of this country through these Canadian quotes. Do explore other sections of this Web site to get an even deeper knowledge of Canada... it's certainly worth it, if you want to immigrate to this country.